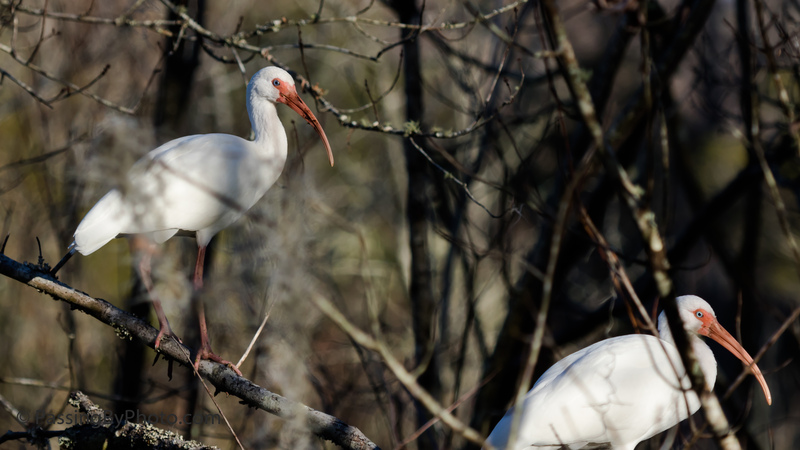 Even if you can’t see that identifying beak an Ibis is easy to distinguish because of their behavior. Walk and probe, walk and probe. They have none of the patient hunting of a heron or egret. That blue eye is a giveaway, too, when you get closer. 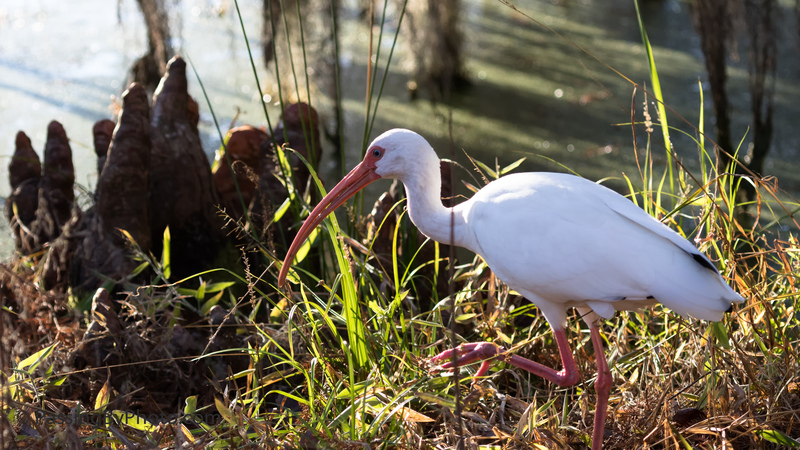 Ibis are wading birds that prefer areas of standing water but I often see them in wooded areas or out of the water poking in the grass around a pond. It was nice of the one above to stand on a branch while pondering his next move. In the White Ibis below you can just see the black of his wingtips in the line running down his back. Get a real feel for these birds in your writing! Great shots Ellen! Beautiful birds, Ellen, and wonderful images! Thank you, Pete. Glad you liked them. They are beautiful, especially when they are clean!